We help a wide range of businesses to engage with local charities and support the voluntary sector in their area. Whether you're a small local business or a multi-national corporate, we'll work with you to understand your organisation's objectives, engage and motivate your employees and make a positive impact on your community. Starting from just £96 a year per group, we offer a range of options to help you support local charities in your area. To get involved or for more information, please contact us at help@localgiving.org or on 0300 111 2340. Help one or more local charities to raise funds and awareness online by sponsoring their annual Localgiving membership. We'll work with you to identify suitable charities in your area or, alternatively, arrange sponsorship for any eligible charities you may already be working with. Businesses currently sponsoring local charities via Localgiving include intu Group, Hammerson plc and Winckworth Sherwood. 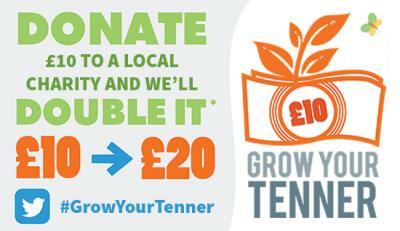 Sponsor a charity to become a member of Localgiving for just £96 a year. Read more about the benefits of Localgiving membership for charities here. In addition to providing a year's Localgiving membership, help your chosen groups to attract new donors and raise more funding by matching £250 worth of donations made to their cause. 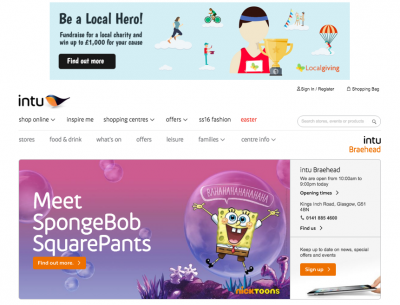 Each year, through our Incentivised Giving Programme, we run a calendar of national fundraising campaigns that give local charities the tools and support they need to raise money online. By sponsoring a campaign, your business can help hundreds of local charities across the UK to develop practical fundraising experience and raise much needed funding for their cause. In addition, we will help you to increase your brand's profile amongst thousands of individual fundraisers and donors. Previous campaign sponsors include Experian, Nutmeg and Making a Difference Locally. Become a corporate partner of Localgiving and gain access to a dedicated account manager. We will develop a bespoke programme that enables your organisation to build relationships with local charities across the UK and make a tangible difference to the communities where you operate. Please contact our Head of Business Development, Chris Dormer, for more information: chris@localgiving.org / 020 3137 6591. Set up a fundraising page for your company and engage employees to raise funds for a local charity on Localgiving. Search by postcode for groups near your offices and make a one-time or monthly donation to your chosen cause. Promote our fundraising campaigns and encourage employees, partners, clients and customers to support a local charity. Businesses currently engaged with one or more of these initiatives include Intu Group, Timeform, and GoCardless. If you would like to sponsor a charity or campaign, become a Localgiving partner, or gain further information about any of the initiatives outlined above, please contact us today. If you're interested in helping Localgiving to make an even bigger difference, we'd love to hear from you. Like many of the thousands of groups we work with, Localgiving is also working towards sustainability. By diversifying our income sources to include earned income, grants and generous donations from philanthropists, corporates and other funders, our hope is that we can continue to serve the local voluntary sector long into the future. Rydym yn helpu elusennau a grwpiau cymunedol lleol i gysylltu â phobl, i godi arian ar-lein ac i fod yn gyfrifol am eu dyfodol eu hunain. © Hawlfraint 2019, Cedwir Pob Hawl. Localgiving Ltd.